We are a leading manufacturer & supplier of table lamps, wall lamps, floor lamps & ceiling lamps in metal like brass, aluminum & iron even in different woods like mango, shisham etc. The same design is in aluminum with powder coating finish and also come in aluminum mirror polish finish. 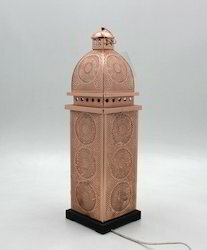 Item Size: H - 14"
We are manufacturing table lamp & has been producing from Cow Horns , its unique in style & has shaped like fish with our best craftmenship. 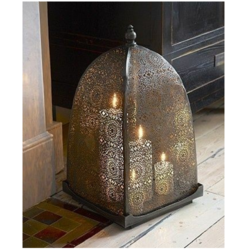 We have a wide range of Lamp in iron and steel. We offer a wide range of Flower Vases and lamps to our esteemed clients. Fabricated using high-quality aluminum, these vases are complimented with traditional finishing. Perfect for any modern decor, these are widely appreciated for its contemporary designs and appealing look. In addition, we offer these vases in different sizes. Owing to massive industrial knowledge in this industry, we are involved in offering a wide collection of Lamp to our clients.